I've got one more of the High Hopes Stamps adorable "Divas" to share with you today! 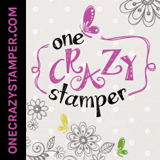 This is the super cute "Gemma"! When I started to design this card, I just pictured her in Paris for some reason.... enjoying life and painting until her little hearts content! 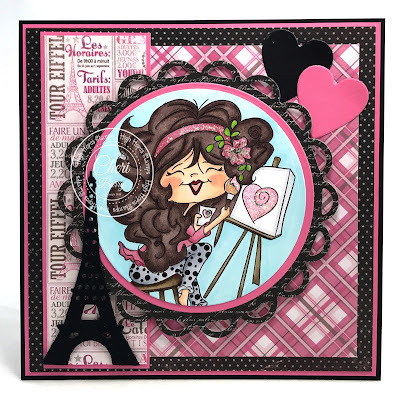 So since "Gemma" is in "Paris", I knew the Paris Girl collection from Carta Bella was perfect for her! I've been hoarding this collection but thought Gemma was deserving LOL. 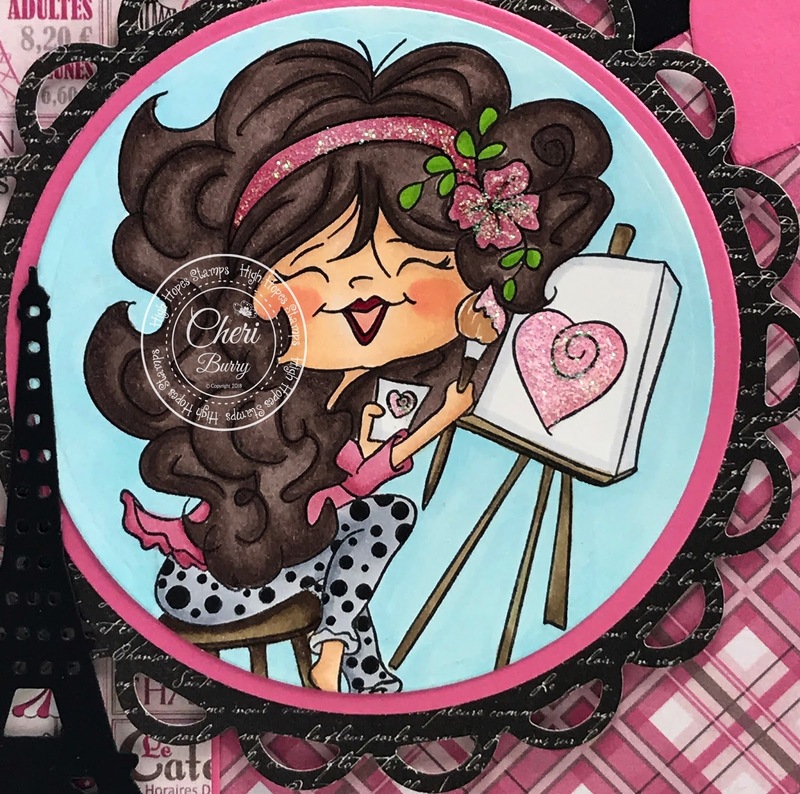 I added some Crystal Stickles to her hair band, flower and painted hearts. 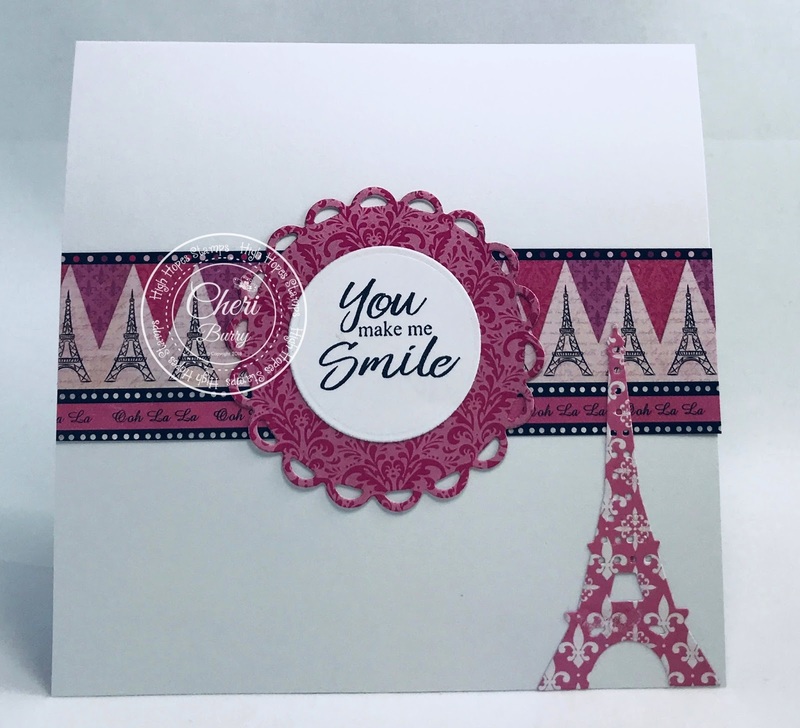 The MFT Eiffel Tower die was the perfect addition to my themed card! On the decorated inside I added the HH Sentiment called "You Make Me Smile". Take some time to enjoy life just like Gemma is!